Today, this cloud platform is powering one of the largest consumer retail experiences in the world. “We have a mixture of data centers. We own a data center, we also colocate at a data center, and then there’s a data center at our HQ. I have clouds at all three of those locations,” Elijah Elliott, cloud domain architect and SME at Gap, revealed at the recent OpenStack Summit in Vancouver. 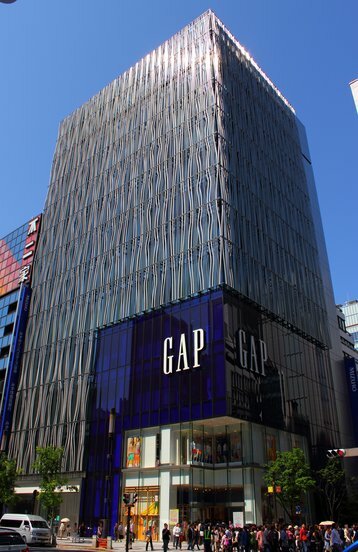 To be fair, OpenStack is not the only kind of cloud at Gap: as a whole, the organization uses a combination of cloud providers, including Microsoft Azure, and has an ongoing partnership with Rackspace. But in terms of new applications, Elliott says “almost everything” now runs on OpenStack. Gap began using OpenStack in 2013, making it one of the early adopters - the open source project started in 2010. It is not a monolithic, all encompassing platform, but a system of more than 40 interdependent modules developed by the community, each serving a narrowly defined purpose, like Nova for compute, Neutron for networking and Swift for object storage. To put it simply, OpenStack gives anyone the parts to build the exact cloud they need. Elliott said Gap required an environment that could create new virtual machines in minutes, not hours. This drove the infrastructure team to experiment with open source software. “Spin up a VM from the pipeline, put up the new code, test it extensively, tear it down - I’m not saying anything that anyone hasn’t heard before - but it was a big difference in the paradigm at Gap.” The retail giant used the open source platform to build a cloud based on microservices, enabling developers to rapidly modernize apps. In the process of building a private cloud, engineers at Gap had to make sure that the infrastructure had all the reliability expected from a commercial cloud service; they architected high availability into software, and tested the results in the chaos of Black Friday and the Thanksgiving weekend. The DIY approach enabled the retailer to create infrastructure that is affordable and remains under total control, but requires investment in people and skills. It looks like this investment is paying off: Gap.Inc reported that its retail store sales shrunk 1.2 percent over the course of fiscal 2017; at the same time, online sales grew 18.8 percent. E-commerce now represents nearly 20 percent of the company’s total revenue.